Blue Dragon Hardwood Escrima - Fighting Stick | BUDK.com - Knives & Swords At The Lowest Prices! 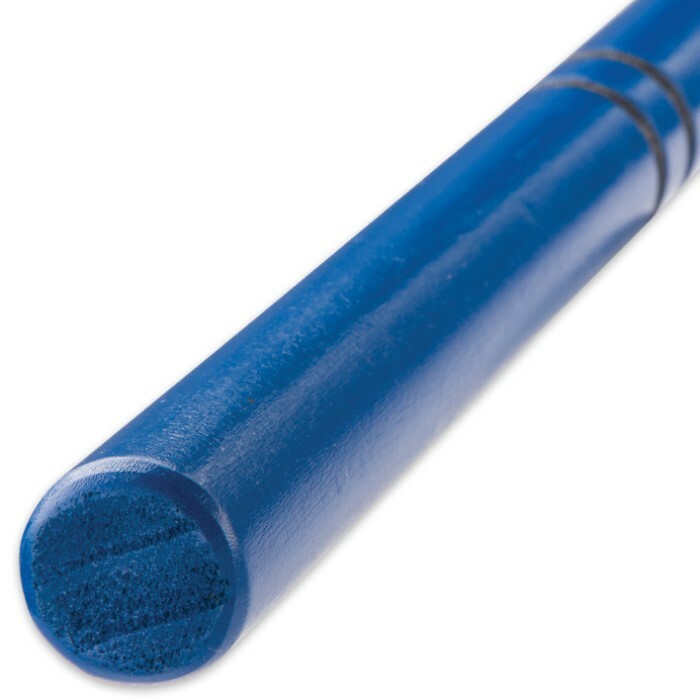 The Blue Dragon Hardwood Escrima is an attractive fighting stick perfect for martial arts competitions. It will definitely get the judges’ attention when you’re doing your competition form. It is made of strong hardwood with a blue painted finish. 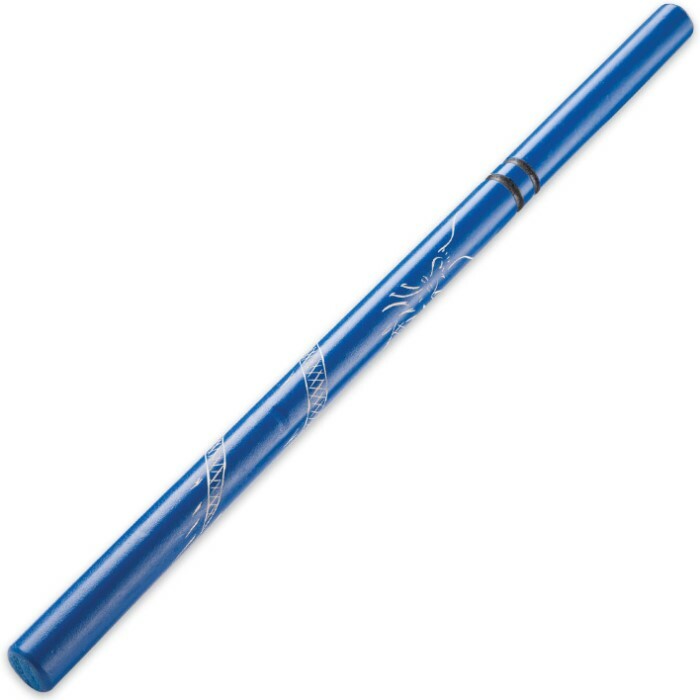 A carved dragon design and two black grooves on the top third accents the escrima. It is 26” long. My mom bought me a pair as a graduation present, and I absolutely love them. Not only is the design beautiful but it also holds quite well in sparring. I have used these for two months to practice Kali and to sparr with my instructor. They have slight indents now but no breaks or splinters! The black grooves are very useful for hand placement. Also the weight is nice and I feel easily balanced. Definitely will buy another pair! I'm a competent stick fighter. I have many different types out of different materials. I use one of theses for light training, as heavy strikes will break them because of the two grooves just above the "handle" end. Of they got rid of the grooves I would rate these higher. But for training they are great.